Do you ever play Cloud Games? When you look into a cloud-filled sky and imagine you see a face or a shoe or a dog? The other day, as the weather was changing, I saw a cloud that looked like a spaceship coming in for a landing. (Come on, work with me here.) Clouds, if you let them, can stir the imagination. Maybe you see a sky full of big, billowy cumulus clouds, the kind you’d love to jump in, bounce around on, fall through forever. 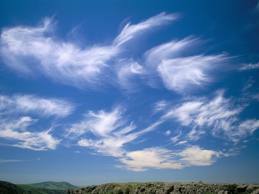 It might be a sky scattered with wispy cirrus clouds, the ones that look like feathers or gauze. The kind you could fly away on. 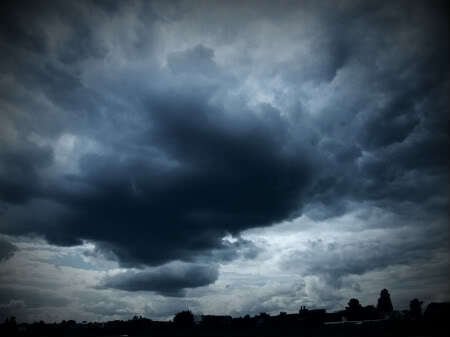 Perhaps you see a sky heavy with rain-laden nimbus clouds, dark and scary looking. They may make you apprehensive. Or run for cover. Maybe the clouds hang so low you find yourself in eerie, mysterious fog, Sherlock Holmes one step behind you. Or Jack the Ripper. 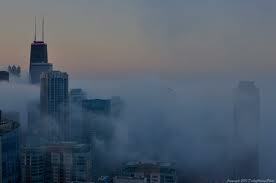 Remember the wonderful imagery in Carl Sandburg’s poem Fog? In Hamlet, Shakespeare invoked a cloud game. I like this wordplay between Hamlet and Polonius in Act III, Scene ii. Of course, there’s more going on here than grown men looking at clouds. Clouds can fill me with awe or take my breath away. They can light my emotions. At times, as I walk beneath their artwork, they help me think. I may like clouds for another reason. Could it be they just let the child in me come out and play? This entry was posted in Creativity, Finding Ideas: The Creative Process, Inspiration, Looking for Inspiration, Writing and tagged "Fog", Art, Carl Sandburg, cirrus clouds, cloud games, creativity, cumulus clouds, Hamlet, imagination, inspiration, nimbus clouds, Shakespeare, storm clouds. Bookmark the permalink. When my children were young, my husband and I bought a Peterson’s Guide to Clouds, that today, 15 years later, I still love. 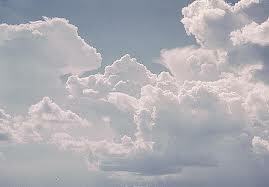 It is fascinating to learn about all the variations of clouds. Eventually, I ended up taking a class on being a spotter for bad weather, sometimes to report, but mostly out of curiosity about storm clouds. But what I really enjoy is watching the clouds overhead, slowly change shape and the sunlight casting ever changing shadows through them. Susan – so glad you stopped by. I love your last sentence. I see the image! Hi Pat – Thank you for visiting! Glad you enjoyed. Of course, there was nary a cloud in our sky today!! Glad you stopped by and enjoyed. Thank you. 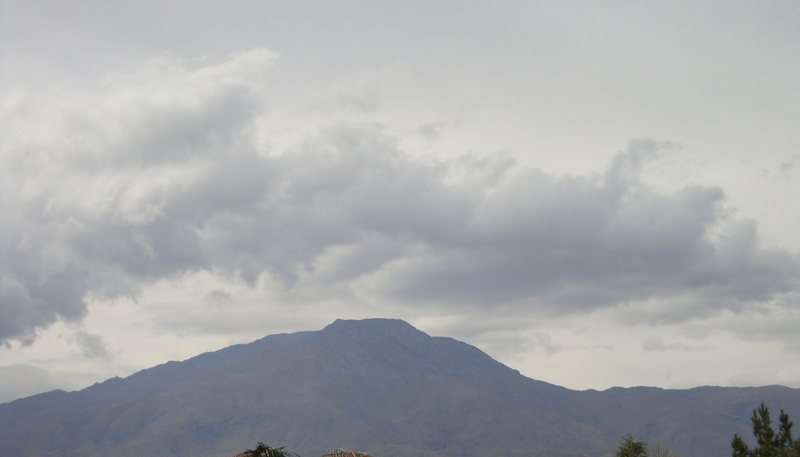 Today our sky is filled with clouds of gray darkness from fires in the mountains nearby.